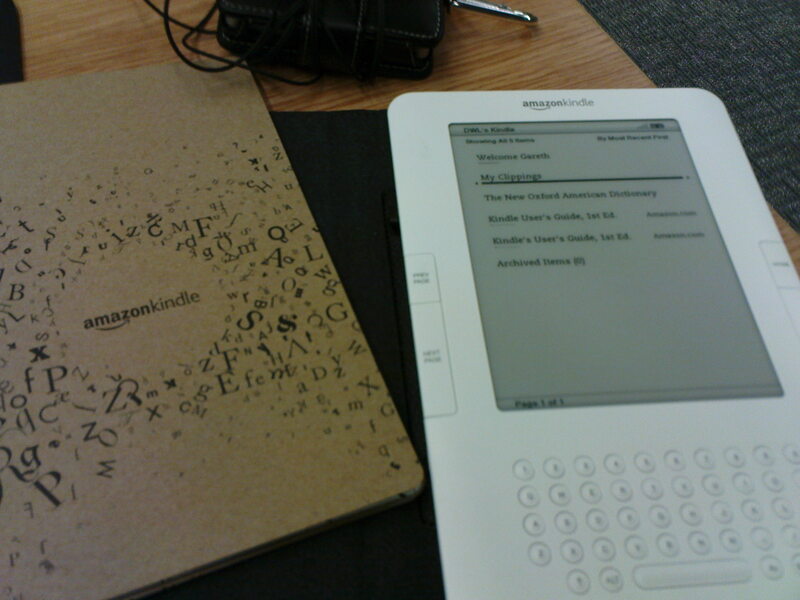 I quite like the Kindle, even now 24hrs later when the “WOW!” factor is wearing off. I’m finding the smaller screen (than the Sony) isn’t bothering me quite so much now. I enjoyed flicking it on for the first time on the train last night (it needed a three hour charge first) and being on wikipedia less than 30 seconds later. I even liked that it said “Hello Gareth” when it booted. 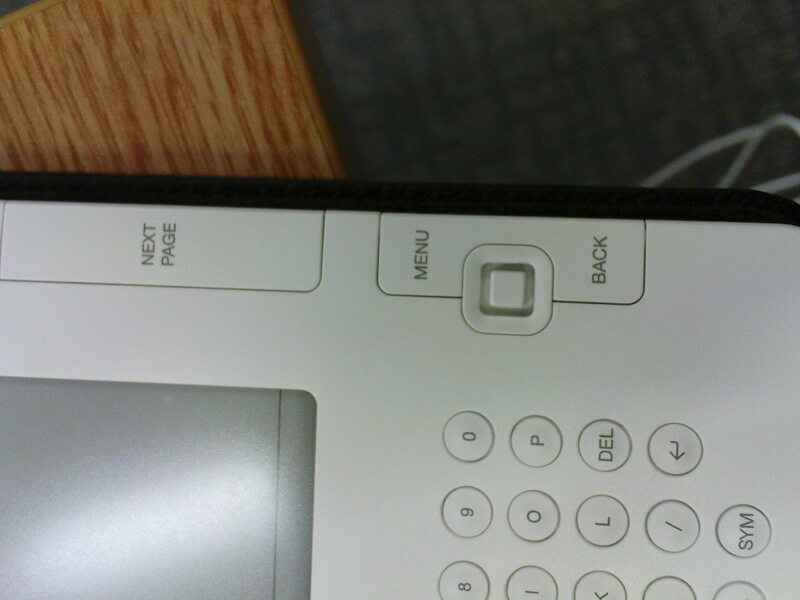 So in terms of usability I would say the Kindle has the slight edge – certainly the plastic coated metal protected me from holding onto a cold metal object out of doors (something the Sony fell down on). The keyboard layout looks slightly odd at first (it is QWERTY but aligned like a PDA not a keyboard) but was responsive to the touch. Actually all the keys click nicely without too much of a clunk. The shame is that the 3G mobile internet browsing has been locked out in the UK. Can’t Google, can’t Twitter, can’t Facebook. 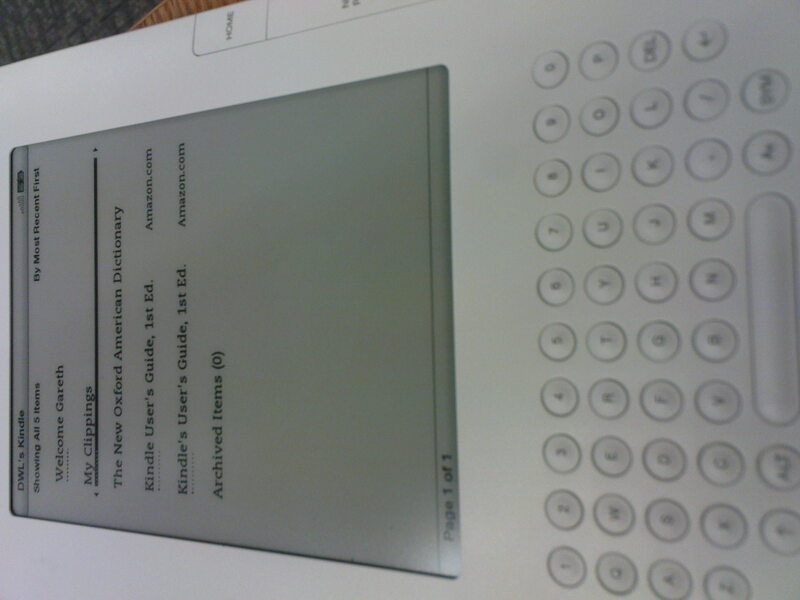 Can’t even read my email – so as a replacement for a netbook, 3G phone or PDA the Kindle fails. Yes it looks nice and easy to buy books from Amazon.com, but I’ve not been able to locate any free ones nor have I been able to put my own PDFs on to read. That alone would have made it very handy in the library sense – got an interlibrary loan? Zap – there you go, read it on your Kindle. So far as I can see so far though, this isn’t the case. In this regards the Kindle begins to raise the same worries in me that have kept me away from Apples iPod/iTunes network – the push to the proprietary media/documents only. When I have an electronic reading device I want it to read my documents – not just the documents you choose to sell to me. AntiPirary? Or just my inexperience…yes it appears the latter. 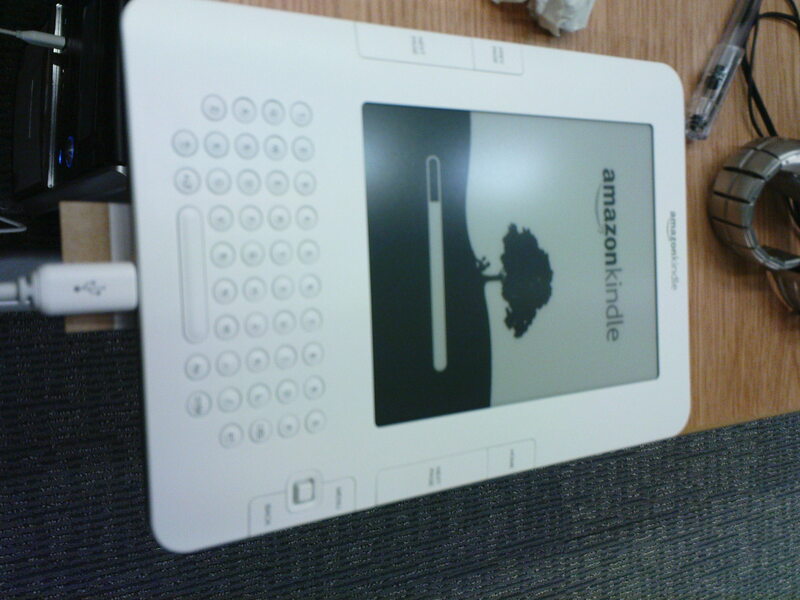 A search of the manual reveals that the Kindle can handle electronic texts, but only in Kindle (.azw, azw1), text (.txt), unprotected mobipocket (.mob1, .prc), audible (.aa, .aax) or MP3 formats. That seems a real let down. There is a service whereby you can email your PDFs to Amazon, and then for a fee (these are my documents remember) have them transfer wirelessly to the Kindle. You can get around this by having it emailed back to you. 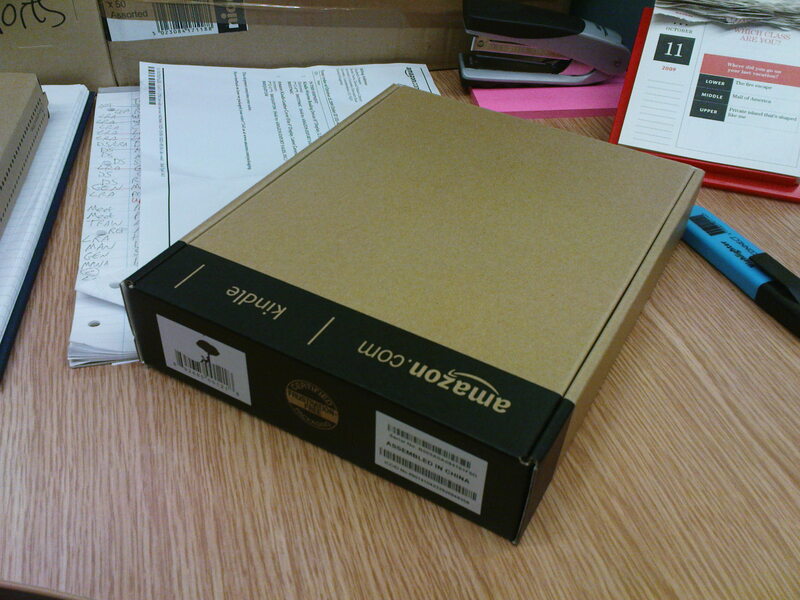 Unfortunately in terms of securely electronic delivery PDFs from the British Library, well frankly that wouldn’t work. But for others, I can see it’s an area where we might be entertaining a little experimentation – if anyone else has tried this, let me know how it worked out for you! * Actually the only place the wireless hasn’t worked is right here at my desk! Our building being somewhat of a shield for mobile phone signals.